62" Width x 15" Height, Can modify slightly based on actual pattern layout once received. Parts are sold individually to maximize adjustability. Assembly required. 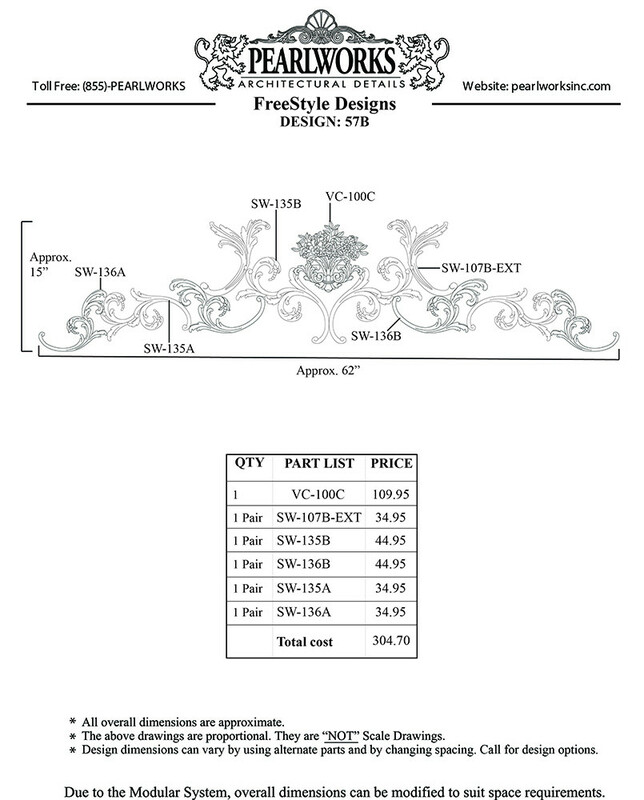 Freestyle Design 57B Overall Dimensions 62" Width x 15" Height, Can modify slightly based on actual pattern layout once received. Parts are sold individually to maximize adjustability. Assembly required.